Make a real statement with this Tresor Paris Metric ring. 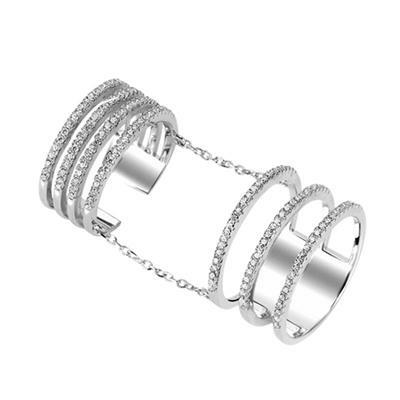 This beautiful design features bands of sparkling crystal cages joined by slim chains to be worn over your knuckle creating a fabulous fashion forward look. Made from Sterling Silver, this beautiful ring is a high quality statement piece, the perfect addition to a glamorous evening look.